For parties of 8+. 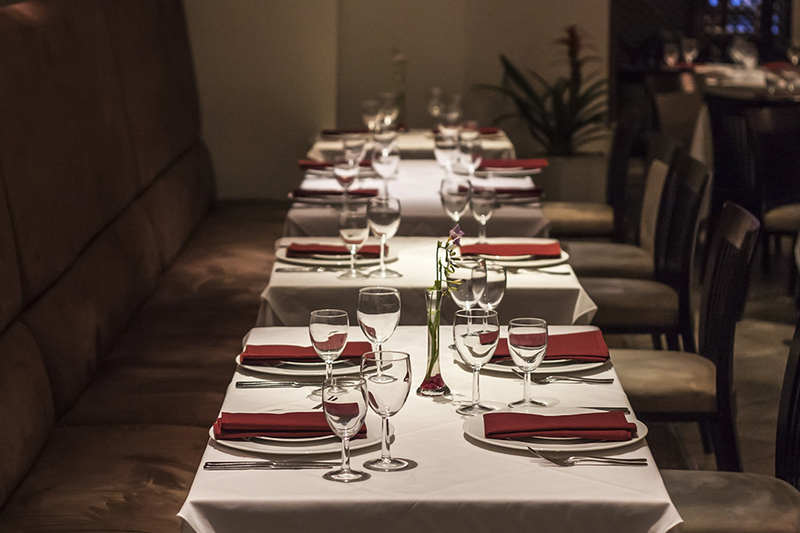 If you're looking for a venue that is ideal for larger parties, MemSaab Nottingham is perfect for you! Choose the Set Party Menu C at just £25.95 when you are dining with a party of 8 to 180! Enjoy a mixed platter starter followed by your choice of main and side. The menu is designed to suit every flavour preference and spice range. Not valid in December. Book online for free text confirmation or call 0115 754 0721. Available until 6:30pm Sunday - Friday. 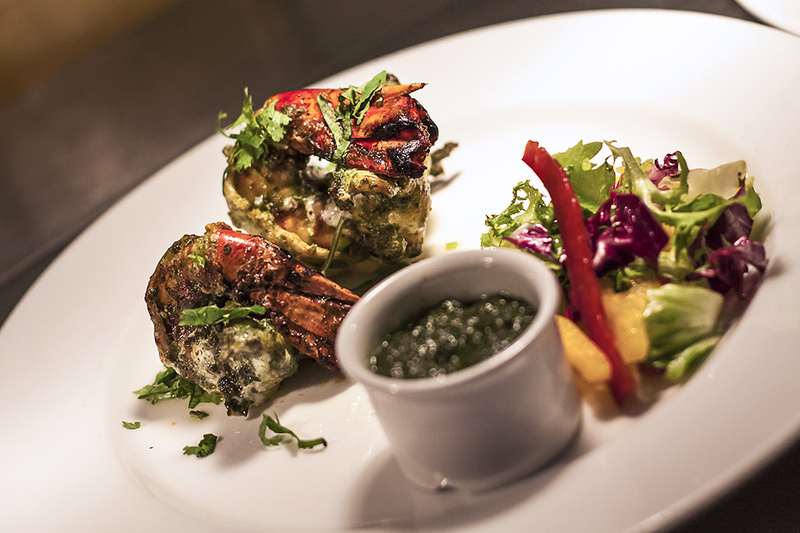 Enjoy a starter and a main course served on a platter with poppadoms, chutney, rice and dhal for just £13.95 per person! Book online for free text confirmation or call 0115 754 0721. Set Party Menus from £21.95! For parties of 8+. 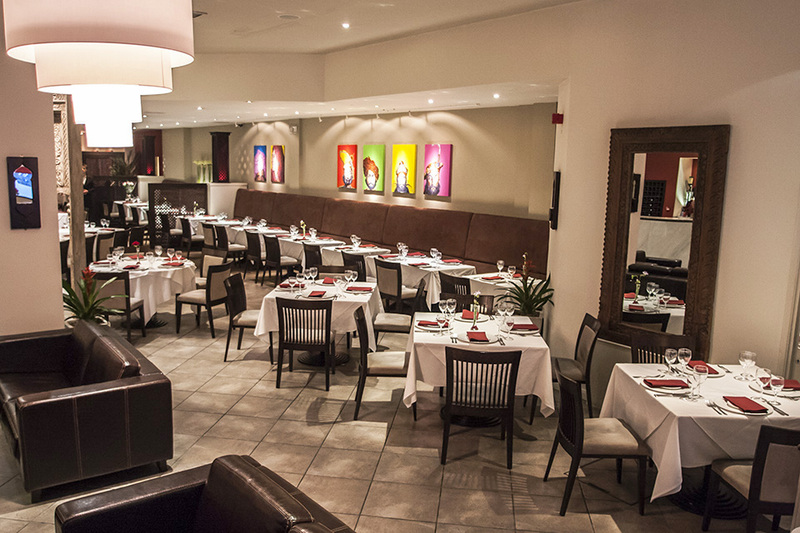 If you're looking for a venue that is ideal for larger parties, MemSaab Nottingham is perfect for you! There are four set menus to choose from starting at just £21.95 when you are dining with a party of 8 to 180! Enjoy a mixed platter starter followed by your choice of main and side. The menu is designed to suit every flavour preference and spice range. Not valid in December. Book online for free text confirmation or call 0115 754 0721. All four of us absolutely loved our evening, the food and service was second to none. Thank you. We shall be coming back soon and bringing others too. We were really looking forward to trying Memsaab after looking at all the good reviews & recommendations. I would have to say we were a little bit disappointed. My husband was uncomfortable throughout the meal as his seat which was like a sofa was so low & he had to lean over the table to speak to me. My soft shell crab & squid starter just tasted off deep fried batter. I couldn’t taste the fish. The Goan curry was delicious. The portion of rice was small & we ran out. The service was fine but would be better to be served by the same person rather than 5. I wouldn’t say it was bad but just didn’t wow me. Food absolutely delicious starters lovely and light. One of the best curries in Nottingham. Excellent customer service. Great flavours, nice and spicy. Always a good atmosphere. All four of us really enjoyed the whole evening. The food was excellent, the service attentive but not overbearing and the ambience lovely. Wonderful food, service and atmosphere. Staff very attentive without being intrusive. Had the early evening menu, Excellent value for money. Very good and fast service, would definitely visit again! Great meal, lovely ambience and friendly staff. Would highly recommend. Fantastic curry. Lovely restaurant. Great service, friendly staff. Great tasting curry, nice and spicy. Will definitely return. This place is perfect! From the moment you get in the service, presentation and the food quality is great! I say this because I have had Indian before its been ok so I wasn't a huge fan in the past... MemSaab Restaurant we'll be visiting again for sure. Consistently good food. Been there numerous times and it doesn't disappoint. Great service, friendly staff. Cannot wait to go back. Top curry. Food was nice but not good value. We had no starters and ordered only 3 mains (I was sharing with my 5 year old) 3 rice, 3 nans, 2 lemonades, 2 bottles of water and two glasses of wine and the bill came to £116! £10 was service charge. Seems a lot with no starters, sides or deserts! Also had to wait an hour for food to arrive after ordering. Very good food but very noisy. We were near kitchen and it felt a bit like dining on the M1, we also felt very rushed they seemed to be hurrying us out to get the next customer in. Very good pre-theatre menu, which is much more filling than it looks! Very tasty. Beautiful venue as well. Amazing value pre-theatre menu, with a good choice of dishes available. Great curry. Highly spiced and full of flavour. Customer service is fantastic, could not fault the staff. Excellent. Shall be returning soon. Starter was stunning, main course good, maybe a different choice would have been better. Great place for a special occasion, but I dislike the 10% service charge. At these prices I expect excellent service without being charged for it. Fantastic curry. Great flavours and lots of spice. Excellent service and atmosphere. Will definitely be returning. Beautiful food as always and fabulous service, the best Indian restaurant in Nottingham by a mile, in fact my favourite restaurant. An excellent meal, delicious food wonderfully cooked. This is a great restaurant, 4 of us dined on different starters and mains. We all thoroughly enjoyed every mouthful and the cheese cake is the best I have ever tasted! I would recommend this restaurant. Just a wonderful experience from beginning to end. Quality of the food and service was terrific. A definite return is a must! Had to wait a long time to get seated and service slow. Consistently good. Never had a bad meal here. Went there for a birthday celebration, the food was the best Indian cuisine that I've had. The customer service was impeccable. I will definitely be returning! Delicious, amazing value pre-theatre meal. Would highly recommend the lamb chop starter. If you are looking for close on perfectly cooked gourmet Indian food and excellent service then Memsaab is the place for you! With a nicely varied menu there is bound to be perfect dish for your palette. Having eaten in Michelin starred Atol Kocher Indian restaurants on a regular basis, I've got to say Memsaab is not too far behind! Brilliant!! Service excellent, food amazing. Definately go back when we've saved a bit more money but well worth it. Impeccable service at Memsaab alongside very tasty dishes and a couple of bottles of good value Pinot Noir. We had a great evening with friends. Thank you. Excellent service, starters amazing, would have preferred more choices of chicken dishes for main courses but overall it was fab! It was our first visit to Memsaab, and I cannot rate this restaurant highly enough. The food was superb, the service was fantastic, nothing was a problem I would definitely book again, 10 out of 10. I was even surprised when the bill arrived as it was nowhere near expensive as I thought it would be. Had a great meal at MemSaab. Had the early bird menu before a visit to the theatre. A lovely surprise for our daughter was a free desert, with a candle as it was her birthday. The waiter had spotted presents on the table. Will definitely be going back. Brilliant food and service at Memsaab, really enjoyed it! Would go again but it was a bit expensive. Pre-theatre menu is excellent value, and plenty of varied food at MemSaab in Nottingham. Particularly enjoyed the lamb chops starter. Lovely food, fresh and excellent quality! Memsaab was heaving so service not as good as usual, they had overbooked the restaurant really but would go again when not so busy as I know the service is usually excellent. Loved our visit for divali and the extra special treatment we recieved. We didn't go for the festival menu as it didn't have soft shell crab. Introduced an old friend who loved the place too. Every meal we have had at Memsaab has been faultless. Amazing food as always at MemSaab in Nottingham. You have to try the Lamb Shank! Food as good as ever, good service, quite expensive, but worth it, bit naughty putting 10% service charge on, but you can have it removed, I prefer to leave a tip of my choosing. Otherwise good. Excellent value pre-theatre menu, which includes naan, rice, starter, main, a side and poppadoms. Really good way to try the Memsaab menu at low prices. Food and service couldn't be bettered. The staff were attentive without being intrusive. MemSaab is our favourite Indian restaurant, consistently delicious food. Let me start by saying that I usually love Memsaab. The food is usually great and I come away happy, however, this time we were seated to the side of the restaurant whereas we've always sat at the front before. The seats to the side are a little cafe like and all crammed together. It was a Saturday night, the restaurant was busy and we could hardly hear each other over the table plus every five minutes a waiter was squeezing in the small gap between the tables to serve the people seated at them - on this occasion it ruined the ambiance. Having said this I will go back. It I will ask to be seated somewhere else. Very tasty food as usual. Very attentive service and good vibe within the venue. All good! Memsaab is my favorite Indian. This visit we brought along fellow curry lovers from Newcastle plus other friends so a table of 7. The food was amazing as always and lots of new fans of the soft shell crab. Our friends are planning their next weekend so a thumbs up all round. My husband and I had an excellent meal. The service was very good and the choice on the menu was very varied. We will definitely be going back! 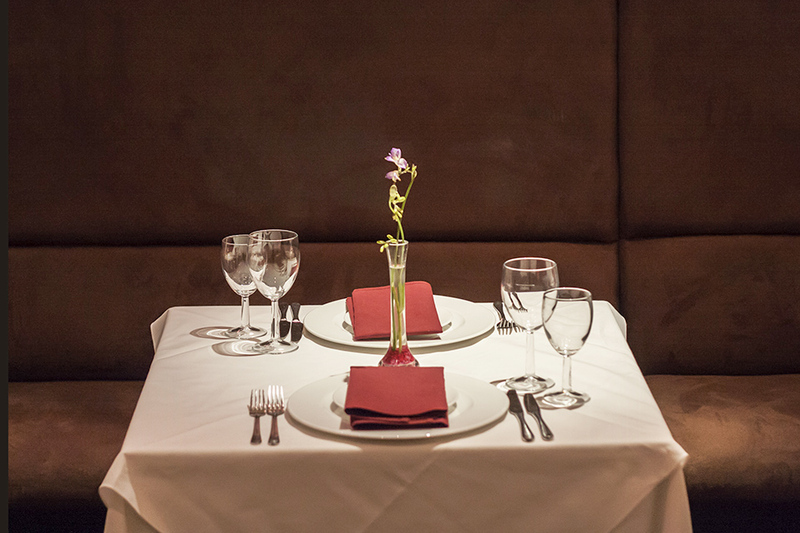 Amazing atmosphere, exceptionally attentive and friendly staff, and top notch quality food. Would definitely return to MemSaab in Nottigham. Tried the Pre-theatre menu at MemSaab. Usually we go later and enjoy the a la carte. This restaurant is round the corner from work so we popped in. Nice portion sizes for an impromptu dinner after work. Loved the daal. Took me back to being a student in Newcastle at the Balti House. Will definitely come again on an early bird deal. I have to give the meal a 10 out of 10 because it is one of the first times I have actually had an indian meal out that was at the level of this quality. The food at MemSaab was absolutely amazing. We both had lamb curry, mine was a lamb shank and the meat was so tasty. MemSaab has a really good reputation locally and its probably fair to say its the best Indian restaurant in Nottingham. Delicious food, very reasonably priced, with attentive service. Yet another great meal at MemSaab Nottingham. I love the soft cell crab and the delicious king prawn garlic chilli curry. We took my partners parents for Father's Day and they loved it too. Really tasty food and excellent value for money. Will certainly return. Fantastic, the food was excellent! Great Christmas menu as always. Food was outstanding, service and restaurant very very good! Really enjoy memsaab. Great food and service every time. Good dishes. Good design. Like it. Fantastic as always! Always recommend Memsaab and took friends visiting from Wales and elsewhere, great! Good food and staff friendly. Service was reasonably good but lacked little touches like refilling of wine glasses. Our table was not the best, did not like the tiled floor. I have been to Memsaab many times since it opened, in tables ranging from 1 to 20 diners. I have never had a bad meal yet. This time was no exception, and to deal so well with a table of 17 all from the a la carte menu says it all. We'll be goiong back soon. Great food & ambience, helpful staff. The best Indian restaurant I have ever been to, it took me forever to order because EVERYTHING on the menu sounded so appealing but the salmon starter eventually chose was absolutely delicious as was the main course and desert. The service was extremely friendly and the decor was beautiful, (I especially liked the series of portraits along the back wall). Can't wait to go back again, top notch. A nice evening - a little crowded and noisy but the food was good! If you want to pig out on vast amounts of curry this may not suit you. Possibly not the cheapest but probably the best quality indian food I have ever eaten. We will visit again. Best Indian food I've tried so far! Very nice atmosphere, friendly staff and reasonable prices. Will definetely be back there! Beautiful restaurant, really sets the benchmark for others in the area. The mixed starter was an absolute winner and marinated lamb chops so soft and with a hint of spice, simply amazing! Named 'Runner Up Best Restaurant 2012 and 2011' by the Observer Food Awards and hailed as a 'Hot Indian' by the Sunday Telegraph, MemSaab continues to raise the standard of Indian fine dining whilst remaining accessible, affordable and most importantly enjoyable. 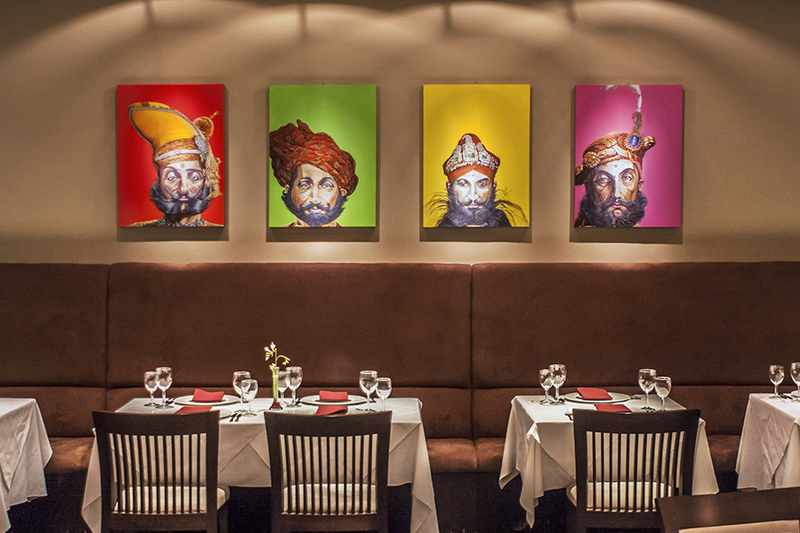 Accommodating up to 150 and with two private dining rooms, MemSaab is a perfect setting for all dining occasions. The interior design combines traditional Indian craftmanship and modern Indian art, capturing the essence of India whilst placing MemSaab firmly in the 21st century. Situated on Maid Marian Way, MemSaab is close to the Nottingham Playhouse, just a few minutes’ walk from the Royal Centre and in close proximity to the hub of Nottingham’s nightlife that surrounds Market Square and the Lace Market, making it suitable for pre-theatre diners, business meetings, couples, friends and family alike. It is easy to see why MemSaab is so highly regarded; the crisp and modern dining space offers a fantastic ambience and provides the perfect canvas for enjoying the traditional Indian fare. Separated from the main dining room by beautifully handcrafted Sheesham wood screens, the private dining areas are a special experience seating twelve to sixty guests, a perfect option for private parties or business meetings. With an early opening time of 5.30pm on weekdays, it's always worth popping in for one of the delicious early bird meals! The cuisine on offer is strictly Indian and is authentic yet refined and the menu reflects the creativity, individual style and regional background of the talented team of chefs. Take your pick from delicious dishes such as zaika gosht, slow cooked lamb flavoured with a perfectly balanced blend of spices and cardamom; Goan fish curry prepared with tamarind, coconut, onions seeds and tomatoes; and, for vegetarians, okra cooked with onions in a mild yet flavourful sauce. 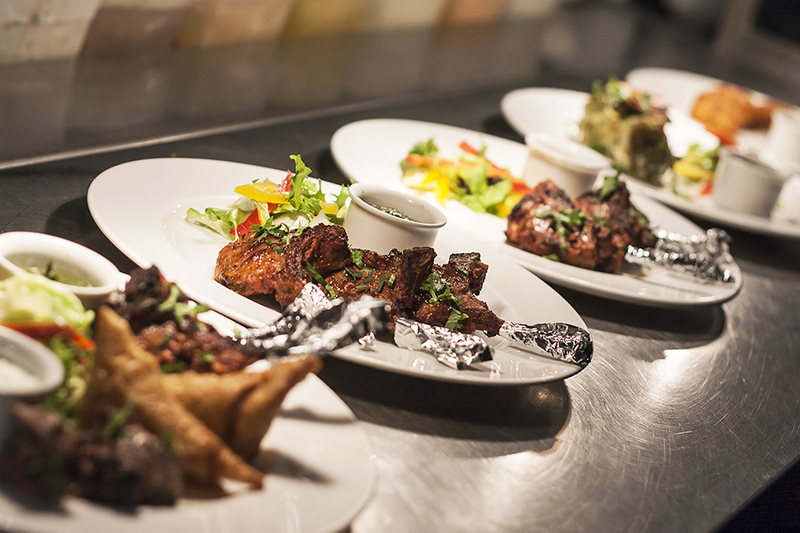 Whatever your heat preference, the menu at MemSaab will satisfy every appetite. 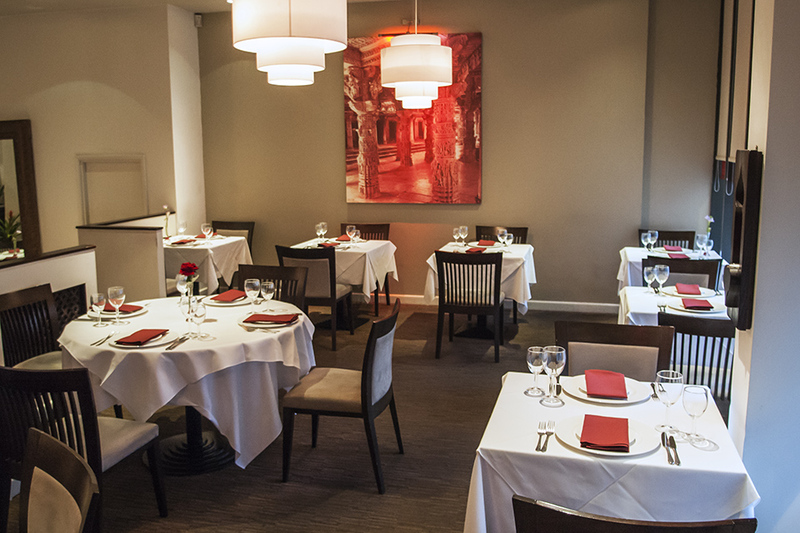 MemSaab is an incredibly valuable addition to the Nottingham restaurant scene and will, without a doubt, continue to exceed its diners expectations, impress the local restaurant awards panels, national press with its fantastic cuisine and highly attention to detail. Offer 3 Offers Available £25.95 Set Party Menu £13.95 - 2 Course Early Evening Menu Set Party Menus from £21.95! For parties of 8+. 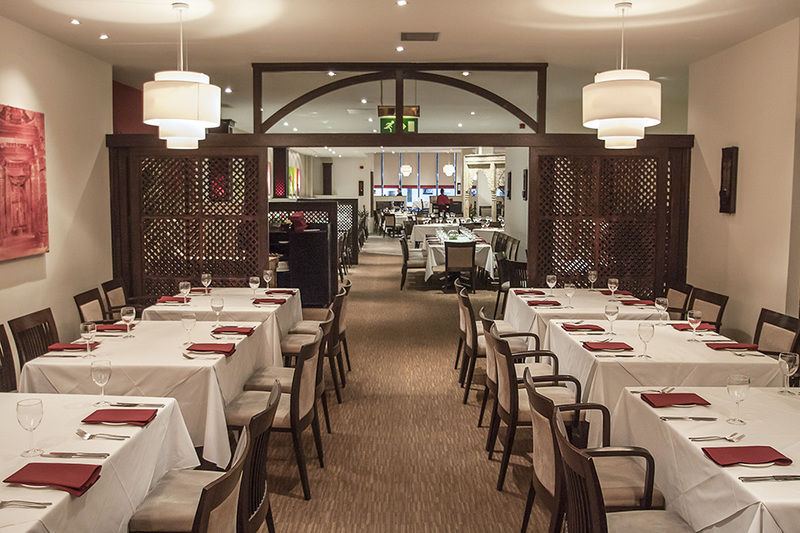 If you're looking for a venue that is ideal for larger parties, MemSaab Nottingham is perfect for you! Choose the Set Party Menu C at just £25.95 when you are dining with a party of 8 to 180! 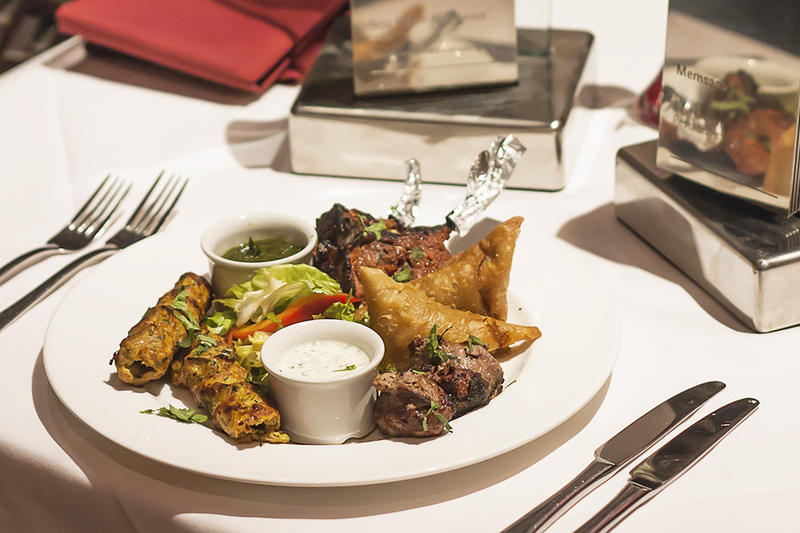 Enjoy a mixed platter starter followed by your choice of main and side. The menu is designed to suit every flavour preference and spice range. Not valid in December. Available until 6:30pm Sunday - Friday. Enjoy a starter and a main course served on a platter with poppadoms, chutney, rice and dhal for just £13.95 per person! For parties of 8+. 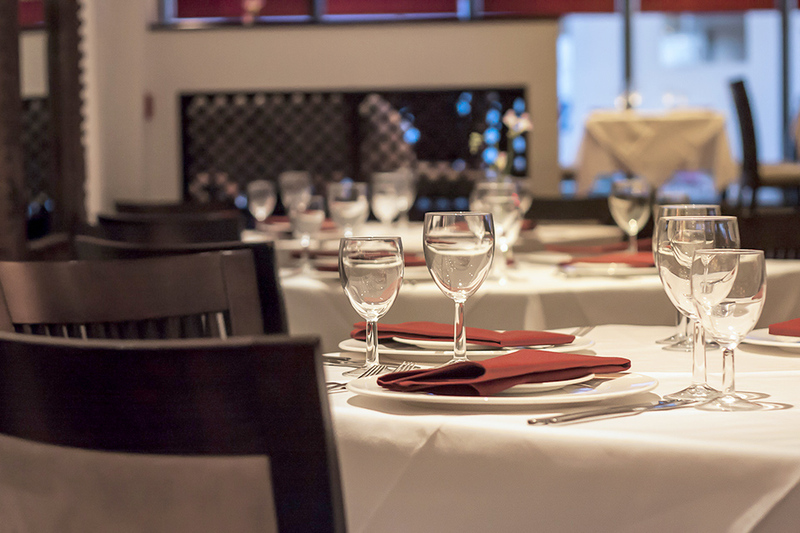 If you're looking for a venue that is ideal for larger parties, MemSaab Nottingham is perfect for you! There are four set menus to choose from starting at just £21.95 when you are dining with a party of 8 to 180! Enjoy a mixed platter starter followed by your choice of main and side. The menu is designed to suit every flavour preference and spice range. Not valid in December.